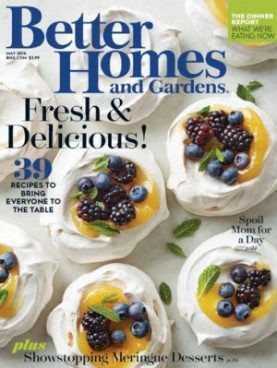 FREE Subscription To Better Homes And Gardens! You are here: Home / FREEbies / FREE Subscription To Better Homes And Gardens! Sign up to get a FREE Subscription To Better Homes And Gardens! Better Homes and Gardens magazine delivers ideas and improvement projects for your home and garden plus recipes and entertaining ideas. Some features include: decorating, repair, food recipes, gift ideas, health tips, gardening, travel, entertainment and product news!